Thank you to everyone who liked our page in an effort to raise funds for the Sutter Park playground initiative! We have 167 new likes…which is awesome! 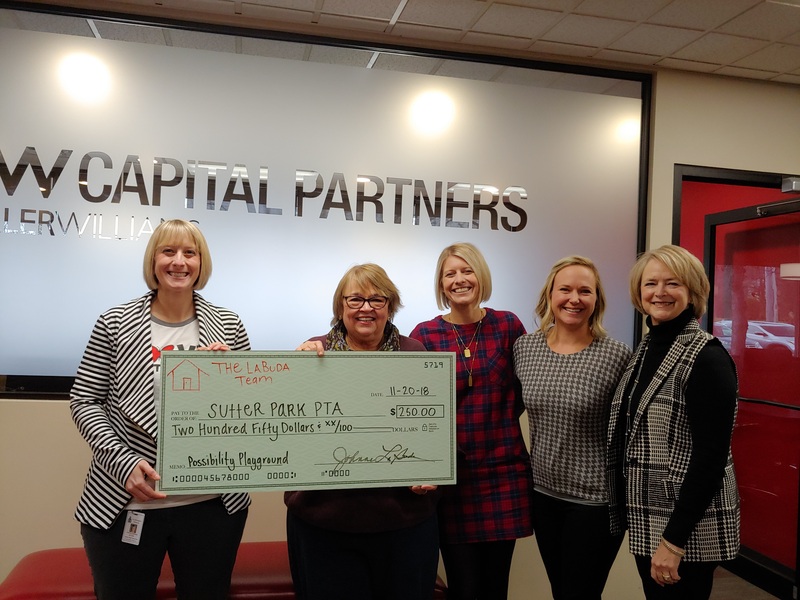 We rounded-up and presented the Principal of Sutter Park $250 for the Sutter Park PTA Possibility Playground. From left to right: Tricia Hosking, Principal at Sutter Park Preschool, Jo-Anne LaBuda, Sarah Winland Mullen, Erin LaBuda, & Lynn Nadler. We’re very excited to see this project continue to move forward.